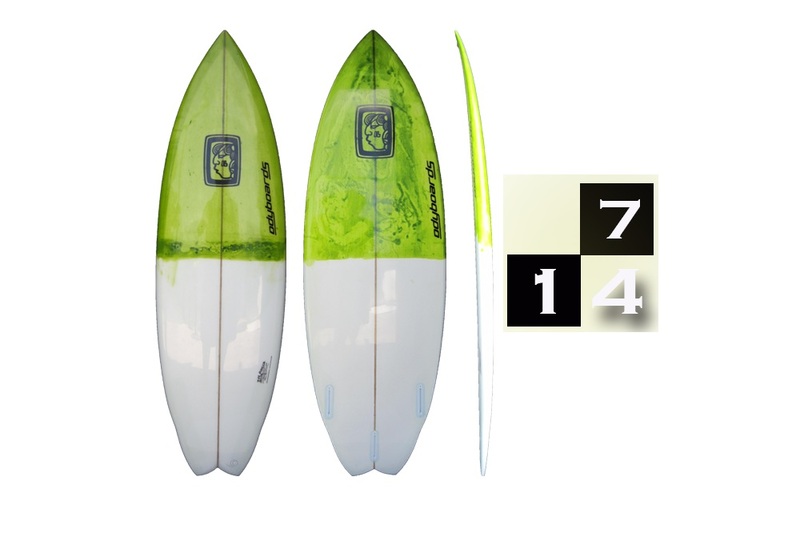 The 7-14 is a performance fish made for medium waves 3' to 6'. It still has all the flotation of the Fish Family, but is a little tucked in for waves with a bit more speed and strength. The slight increase in rocker helps with the maneuverability and the tri fin holds better in bigger waves.